What is the Sentiment analysis? Sentiment Analysis is a process used to identify the attitude of customer groups towards products or services offered to them. It is possible to categorize the opinions expressed on products without complex market research strategies. The opinions are categorized as positive, negative or neutral. It is a widely used technique useful in brand building. Business can easily trace any negative opinions of the customers toward their brand of products using sentimental analysis process. 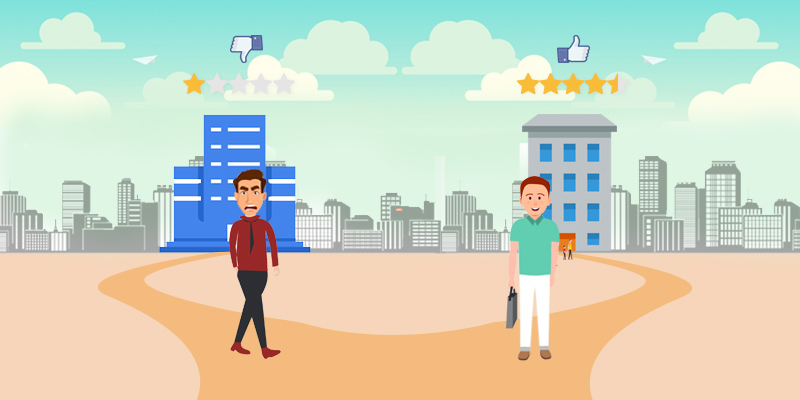 Why Social Media Sentiment Analysis and How it works? On their constant strife to evolve their business prospects, organizations are adopting innovative processes such as Sentiment Analysis. Using this strategy, businesses can understand the attitude or emotional reaction towards their brands or products. This strategy can be applied in various cost-effective ways. Managers even allow one of their team members to find out about the views and impressions of their brands. 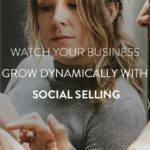 It is also possible to get such relevant information from social media posts such as Facebook or Twitter posts, Youtube posts, products reviews, surveys or events. You can also analyze blog comments, forum posts, videos, graphics and images. Sentiment Analysis involves social media monitoring, keyword processing tools and more. There are plenty of techniques, methods, tools involved in sentiment analysis but it may not be complicated or technical. In the earlier stages, sentiment analysis was only verbal communication or from public opinions. But now it has evolved. Sentiment analysis is used to assess the exact customer sentiments such as anger or disappointment on any products. Social media sentiment analysis is one such evolved field. It includes gaining customer inputs for sentimental analysis from social media feeds, blogs, videos, posts, chats, emails etc. Collect the data and content generated by users in forums, social media networks and blog posts. Remove irrelevant content and clear the data. Simply focus on the sentiments of the customers including opinions, beliefs and views. Classify the sentiments such as anger, surprise, negative, positive or neutral, likes and dislikes from Facebook posts. Why is social media sentiment analysis important for your business? It is important for your business to introduce sentiment analysis and track their appeal among their customers and potential buyers. You need not wait for a loss to incur, analyze the reasons and implement sentiment analysis. You can plan out the cost-effective strategy and assess the customer satisfaction. While over 90% of businesses use social media, social media sentiment analysis is most important for them. 1. It helps businesses differentiate from other businesses in the same domain with a multitude of satisfied customers. Get smart and employ effective strategies such as social media sentiment analysis. With the likes and dislikes in the most popular Facebook, social media sentiment analysis became popular. Businesses found it both important and useful to gain social media sentiment analysis. Many businesses and brand owners are conscious of the quality of their products. Many of them are eager to get ample customer feedback. This is useful for them to improve the quality of their products. While there is a common feature that has plenty of customer complaints, the brands decide to improve the feature or revise the edition for customer satisfaction. Using social media sentiment analysis, it is easy to get prompt customer feedback. Moreover, on the introduction of the latest version of products, it is essential to know about the customer satisfaction. It is not easy to get feedback from a large diaspora of clients or customers. Instead, social media responses are easier. This can also be used as a ground for sentimental analysis. With positive opinions and view on the new edition of products, manufacturers can be assured of the popularity of the products and ensure the production process. They can produce large quantities of products trusting on the results of the analysis. It is possible to get information on the customer’s preference. After perceiving the preferred brands of the customers, it is possible to find out and improve your brands. For an example, if the majority of customers are opting for a mobile with high charge retention capacity, then you know what your product is lacking! To improve your brand for better success. If your marketing campaigns are ineffective as per the results of the analysis, then change them accordingly. I find this as one of the best benefits of the social media sentiment analysis. Since I employed this strategy I have been only gaining! Businesses are always in a quandary – do customers value our products and services or are they compromising with our products? Then, they introduce several marketing campaigns. Now using social media, it is possible to analyze the comments and conduct social media sentiment analysis. Using both manual and automated social media sentiment analysis, it is possible to get an impression about the public and customer opinions. 5. What Do Everyone Think Of Us? Social media sentiment analysis is news to businesses! Now there is no need to spend on opinion polls and surveys. Instead, find out the testimonials on your products using social media sentiment analysis. Now businesses can use social media platforms to scan their customer’s views and impressions on their products or services. Now, know all about the social emotions on your products. Find out the emotions of the public using social media sentiment analysis. While improving customer satisfaction, you are improving your business. You can also handle customer grievances using the social media sentiment analysis. Based on negative feedback, it is possible to improve the products of your brand and protect it. No brand can wait for the rejection of their products to know about the customer satisfaction. Instead, they would prefer to know about the customer satisfaction anytime possible and also after the introduction of new products. Social media sentiment analysis is a futuristic marketing strategy. Already in the present, all businesses are extensively using social media platforms to reach to global audience. It is predicted that in the future almost every business will have to opt on social media platforms for their promotions and marketing. In such cases, social media sentiment analysis will have a better application. 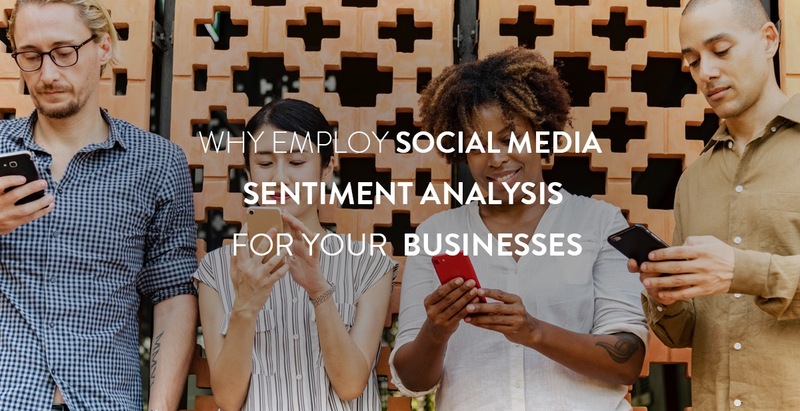 I find social media sentiment analysis to be an effective strategy that can be applied across all domains of businesses using social media platforms. With better awareness of the importance of this strategy, businesses are readily opting for the analysis and reaching out to the preferences of their global audiences and customers. The simple feedback system cannot get you responses from global audiences. Instead, opt for social media sentimental analysis and get feedback from your customers. So, adopt such innovative processes such as social media sentiment analysis and steer your business ahead. Not getting enough likes & shares on your social media posts?